Your foundation is the most important part of your home, it is what keeps your home supported. Foundations come in many different forms, the most common are the slab, crawl space, and basement foundation. A slab foundation is just a concrete slab poured directly onto the grade where the house will sit. It has no space under the slab that can be accessible. 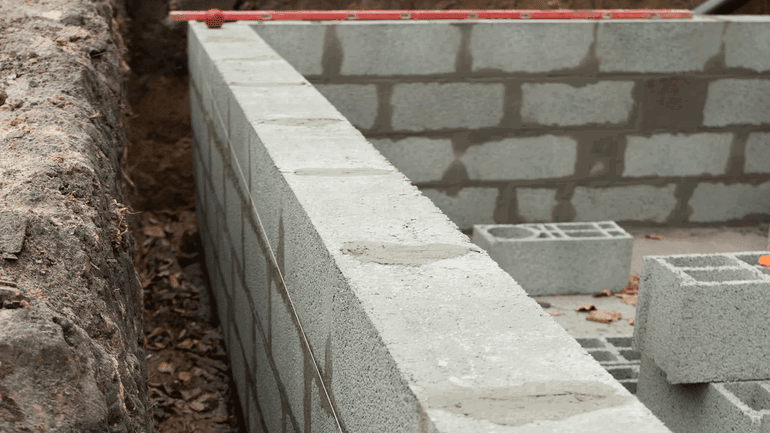 These types of foundations are commonly found in the southern United States because in colder climates freezing temperatures can cause a slab foundation to shift causing the home damage. A crawl space foundation is a small accessible space under the home that has very little room between the soil and the floor above. This is a great addition to a home if kept correctly can serve as a great storage area. To make sure your crawl space is the best it can be encapsulation is your best bet to have a safe and odor free home. This will help keep odors and pests from escaping and making it into your home. Installing a dehumidifier will also help to keep humidity levels lower and keep mold from growing. A basement foundation is a larger area that is often used as an additional family room, entertainment room, bar, game room and more. This type of foundation is found more in colder areas where the foundation needs to be below frost levels. With your foundation being underground you are still in danger of damage from water. Installing a waterproofing system in your basement will help to keep water out and avoid costly damages done to your home and its foundation. Without a proper foundation, your home could have damages you aren’t even aware of. Inspect your home every few months to see if you have any of these signs of foundation damage. If any of these signs are found it is best to contact a foundation company to determine if your foundation is failing. The number one cause of foundation trouble is water. Water can damage not only your foundation but your belongings inside the home. 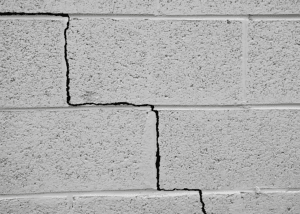 With just a little pressure to a wall that isn’t stable can cause cracks that will let water seep in. Water can also cause erosion of the soil causing walls to cave in and concrete slabs to crack and sink. Installing a waterproofing system will help to remove water from your basement or crawlspace along with a sump pump and dehumidifier. Additional supports may need to be added to reinforce the foundation walls from further bowing. Another way to make sure water isn’t coming into your home is to take a look outside. 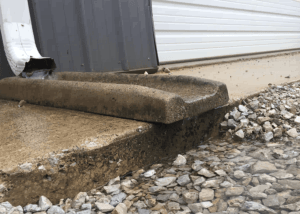 After a big rain is there standing water around your home’s foundation? Take a look at your downspouts are they moving water away from your home or is the water just pouring out beside your home? Fixing the grade of your yard and installing downspout extensions will move water away from your foundation and cause less damage to your home. Find out how healthy your home is.